Carvone is part of the family of chemicals called the terpenoids and is generally found in many essential oils. It is found in abundant in the oils extracted from the seeds of caraway, spearmint and dill. 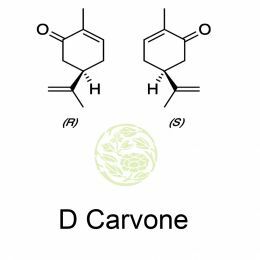 There are two forms of carvone, L carvone which smells like the spearmint leaves and D carvone which smells like caraway seeds. D carvone is the main constituent of the oil from caraway seeds, about 60 to 70%. The production of D carvone is about 10 ton per year. Its presence is there in dill seed oil also (40-60%) and in mandarin orange peel oil. Some forms of oils, like the ginger grass oil contain both the enantiomers. The other natural oils which contain trace quantities of carvones are the peppermint oil. Caraway has been used for medicinal purposes by the ancient Romans but carvone was then not isolated from the caraway. The isolation of carvone happened during the time of Franz Varrentrapp in the year 1849. It was originally called carvol initially and later on Goldschmidt and Zurrer identified it as a ketone related to limonene. The structure of carvone was finally clarified by Gerog Wagner in 1894. D-carvone is prepared usually by fractional distillation of caraway oil. Even though it is different in odor and flavor, it is also distilled from dill seed oil and dill weed oil. 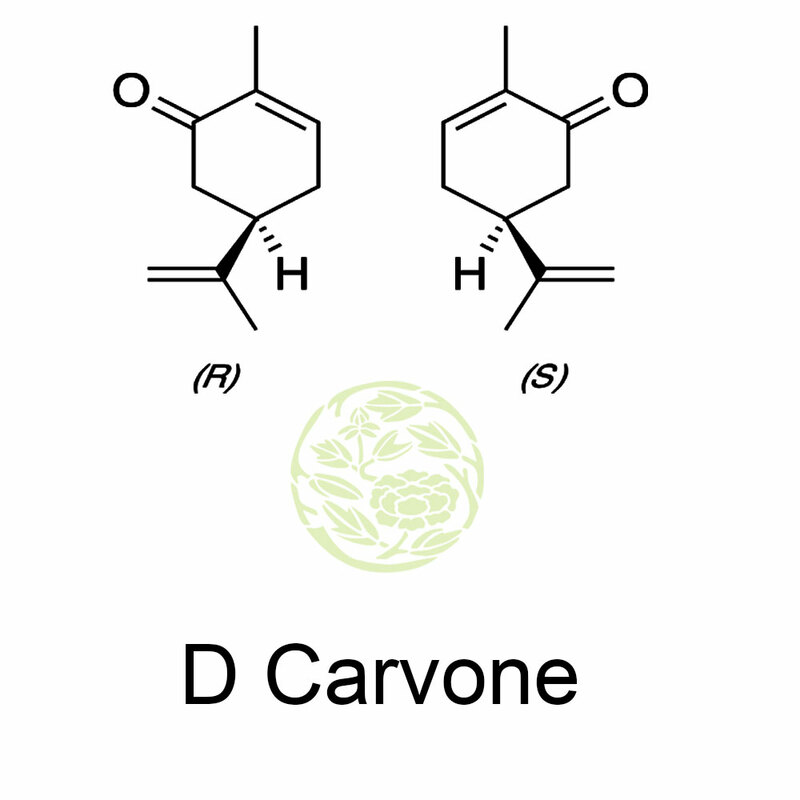 D Carvone is used in the production of many types of food since it has the flavor of caraway, dill and spearmint. Many of the chewing gum manufacturers use this for their flavors. Bigger producers of chewing gum Wrigley's use it for Spearmint Gum etc.